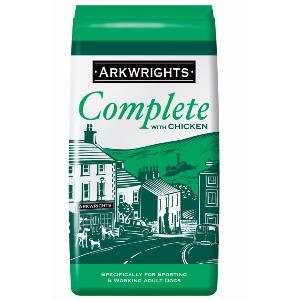 Arkwrights Complete Chicken dog food is a food especially formulated for sporting and working dogs. It can be fed dry or moistened to suit your dog. Cruncy Bite size pieces basted in meat juices. 18% Protein and 7.3% Oils and Fats.